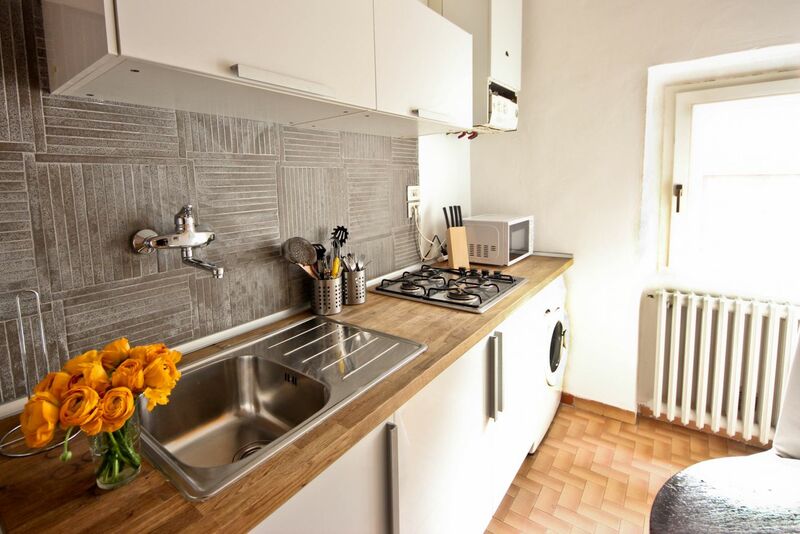 The flat, located on the second floor, opens into a kitchen/dining area that is fully equipped, including laundry facilities. 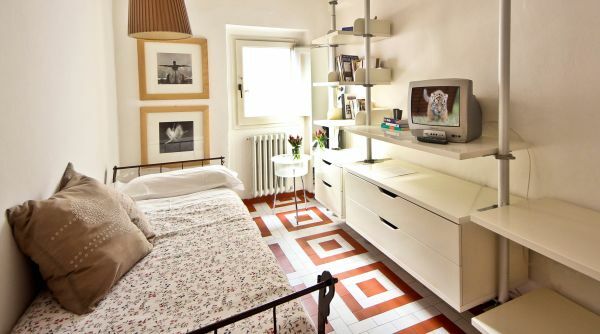 This leads through a living room with a single daybed as well as storage and a TV. 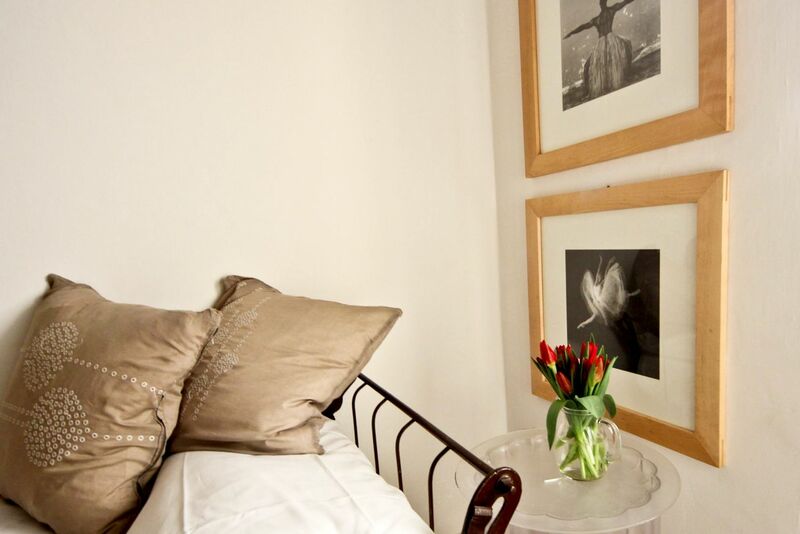 A small hall way leads through to the spacious and quiet bedroom that features a double bed and clothing storage, as well as the full bathroom with shower. To accommodate larger groups, this holiday rental is located in the same building as our Pinzochere 1SX, Pinzochere 1DX, Pinzochere PT, Pinzochere 2DX, and Pinzochere Mansarda. Please inquire with our sales department about renting multiple apartments within same building. 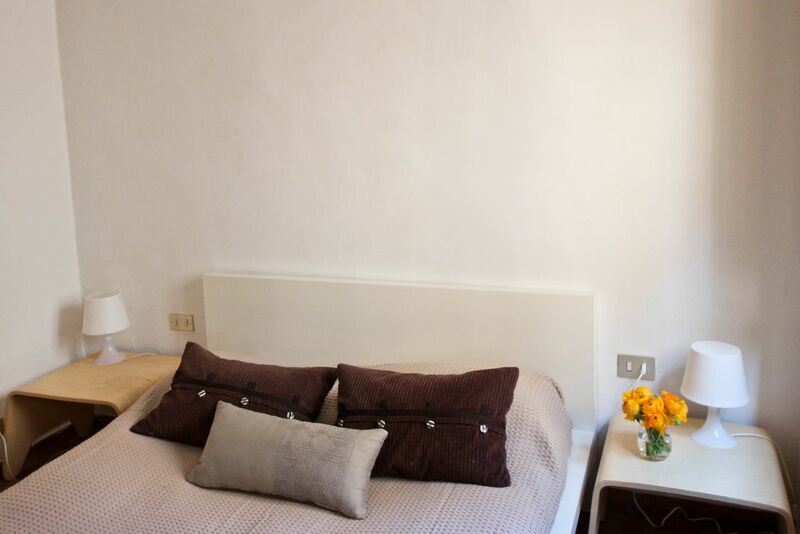 This apartment is managed directly by the qualified staff of Apartmentsflorence.it and we guarantee the highest quality of service and assistance during your stay in Florence. 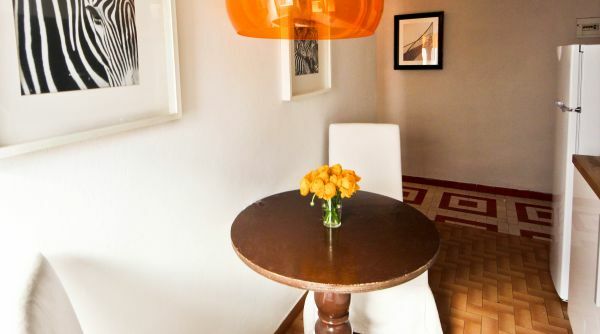 The check in/check out procedure, bed linens, cleaning service, assistance and maintenance are all provided directly by the Apartmentsflorence.it staff. 01/12/2015 - Perfect! Clean and had all I needed to make my stay comfortable. The staff was very efficient and helpful and PLEASANT! The apartment was perfect and I felt like I was in a home away from home! 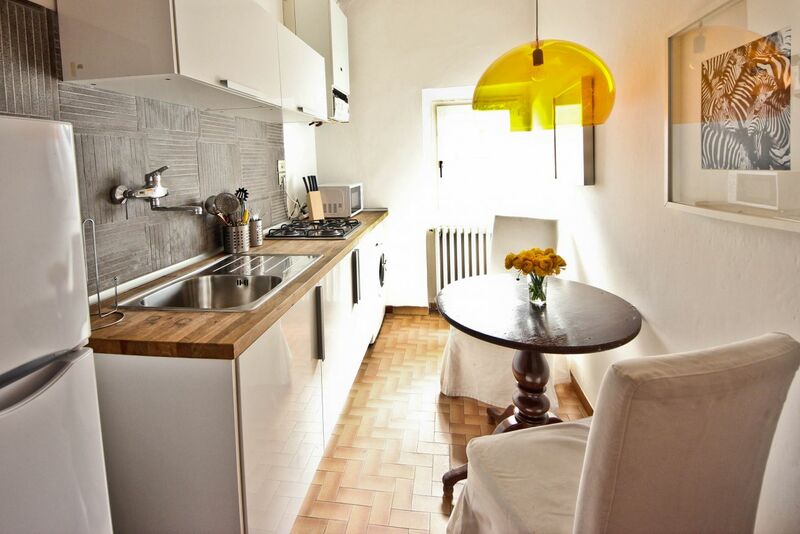 Thank you for all your help in finding the perfect apartment near my daughter who is studying in Florence. The iPhone app was a great tool and very useful. 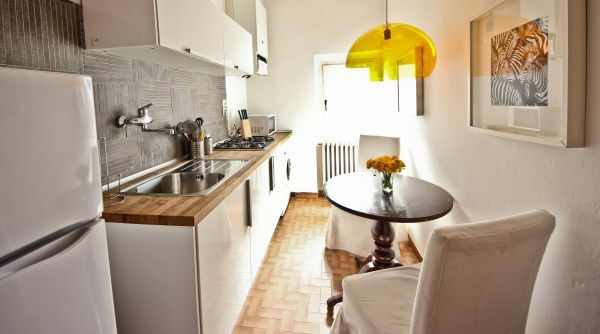 My husband and I rented this apartment for 18 nights when we first arrived in Florence. 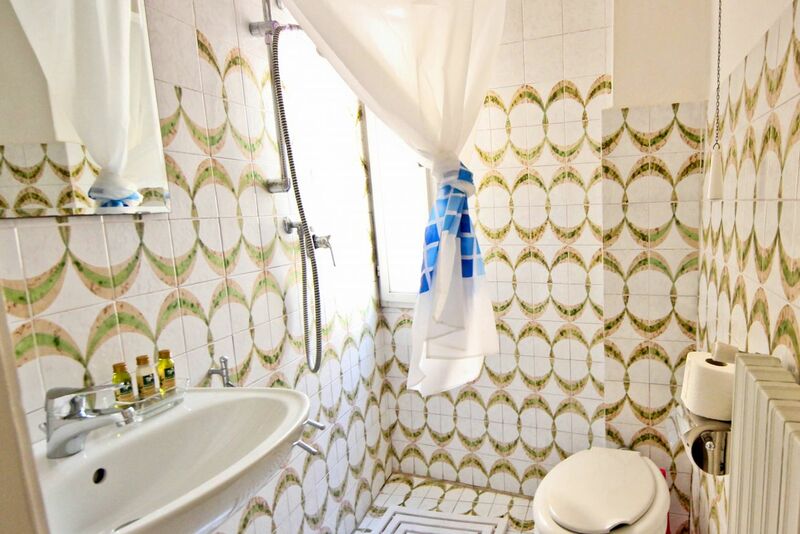 We are in Florence for a year and wanted a short-term option while we looked for long-term accommodation. It was adequate for our needs and in a convenient location. It was great to be able to walk to a good bakery (Forno on the corner of Via Ghibellina and Via dei Macci), Sant’ Ambrogio market (meat, fruit & veg, cheese, etc), and the Conad supermarket at Pietrapiana. The apartment is really quite small so it would be very ‘cosy’ if you had more than two people staying there with a suitcase each. 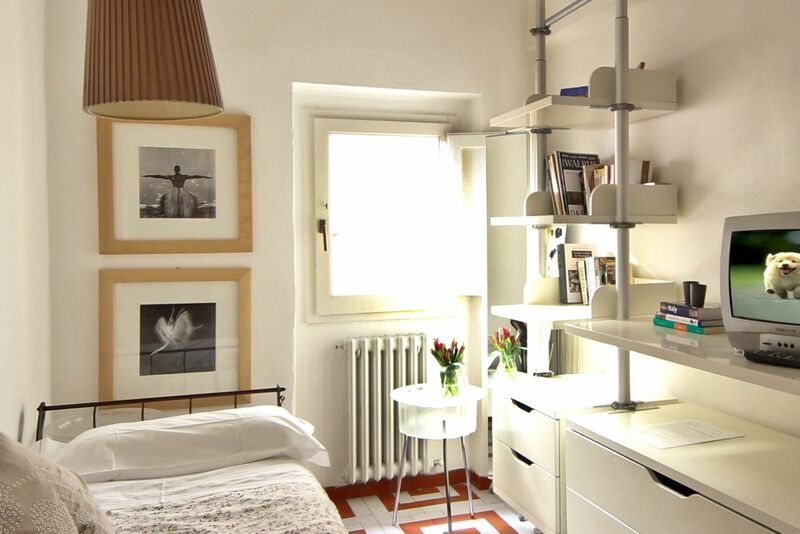 We used the single bedroom as a place to store our suitcases. The internet worked well. The hot water and electricity were fine, too. The kitchen could have been cleaned a bit more thoroughly between guests - most of the knives in the knife block were dirty, which was a very unpleasant discovery. Guests are obviously meant to wash up after themselves but the cleaning staff should at least check that all utensils are clean and presentable for the next guests. The kettle was very disappointing - it was very small and only just held two cups of water, and never quite reached boiling point so our tea was always frothy. It would be best to use a saucepan to boil water until they replace it. The coffee maker also didn’t work properly. All these things were pointed out in our feedback to Apartments Florence, and we hope that they will be able to implement these changes for future guests. As others have said, the apartment suffers from noise from the street below (Cristofano). This was worst towards the end of the week. Some nights we were woken up around 3am with people loudly returning home from the bars on Piazza di Santa Croce, even with the windows closed. The mornings were fairly quiet in comparison. 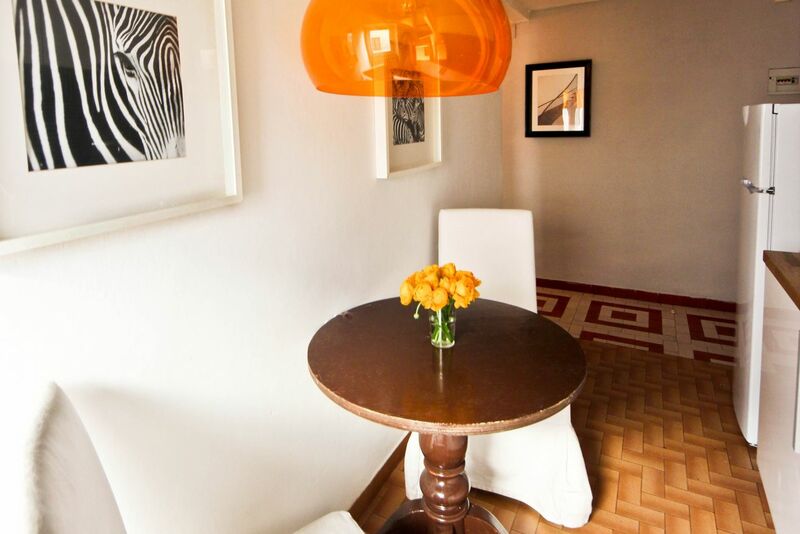 The staff member we dealt with on arrival and check-out, Cesar, was very prompt and helpful as other people have said. Other staff members I spoke to on the phone or by email were less helpful and often didn’t seem particularly polite. I called to try to arrange a change of sheets and towels as they had not been left in the apartment as they should have been - this was resolved, although not as efficiently as I would have hoped (it took a couple of phone calls). I also called to follow-up on a request to get the TV working, as it didn’t work when we arrived. This was not resolved. 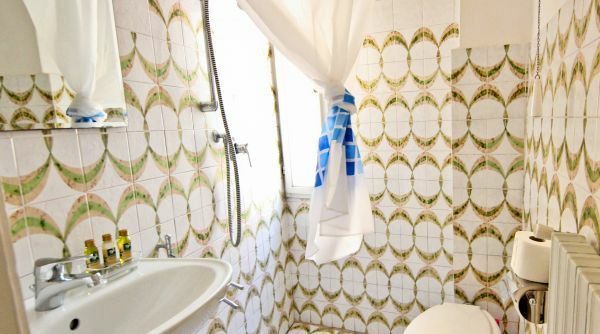 We also asked for a shower curtain to keep the bathroom a bit drier (it was in the pictures but was missing when we arrived), but this was not resolved either. None of these things was a deal-breaker for us for a short time, as we were not expecting luxury. 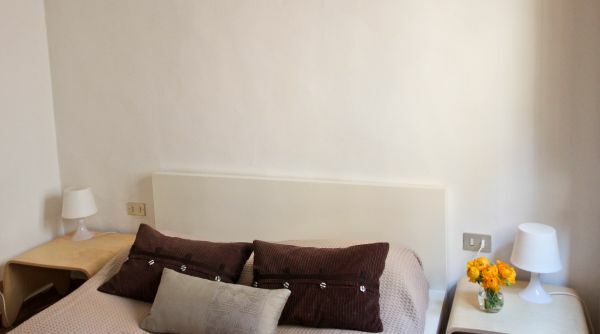 We had a good time staying in this apartment and would probably stay there again if we returned to Florence short-term in the future. 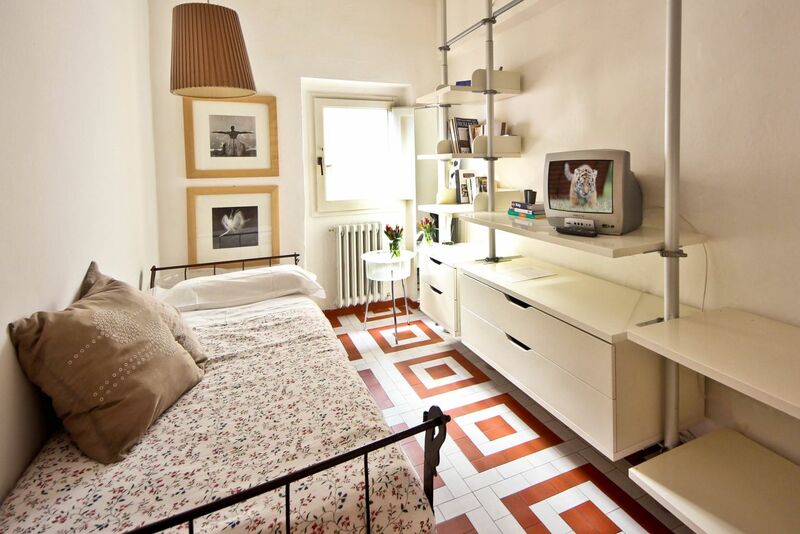 Apartment is just down the block from the Basilica of Santa Croce, in the neighborhood where Michelangelo grew up. Nice! Manager met us promptly, helped us with luggage up three flights of stairs. Space was well-appointed except for the shower being just a spigot in the corner of the small tiled bathroom, so getting clean was a bit of a challenge. It was good to have a washing machine, though, since coin laundries are prohibitively expensive in Italy for some strange reason. Wireless internet worked fine. A very comprehensive notebook was provided by apartments Florence answering virtually every question we might have, with the possible exception of transportation : it would have been helpful to have a city bus map and to know where to catch the nearest buses, so we could have explored more areas of the city each day. 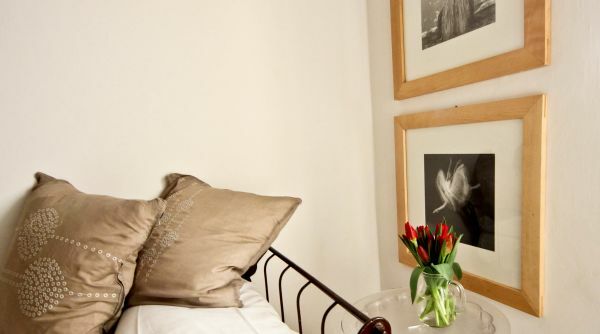 This place is small, cozy, and well suited for two people. The staff is very helpful and check-in was simple and easy. The only down side we could see was the street behind the apartment was really loud at night, so could be problematic for a light sleeper. 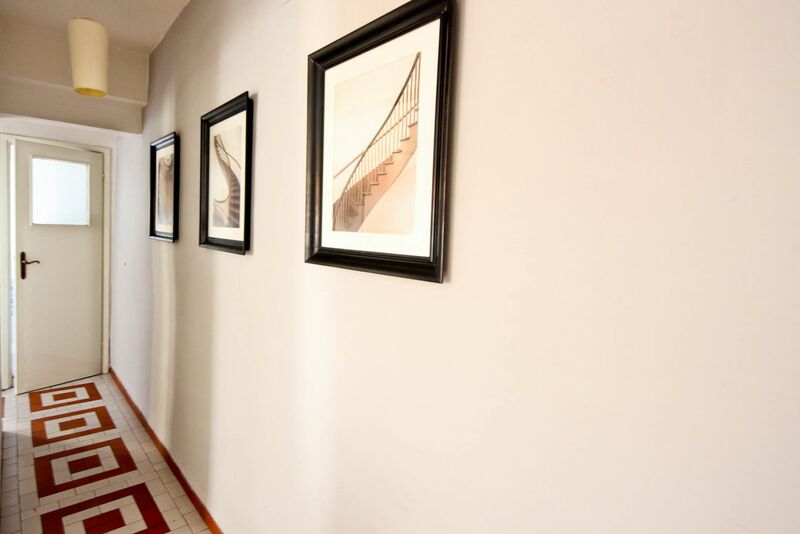 You will certainly get your moneys worth and this is an easy and well placed apartment. We are three 18 year old girls from Norway living in the Pinzochere 2SX apartment from late July to early august. 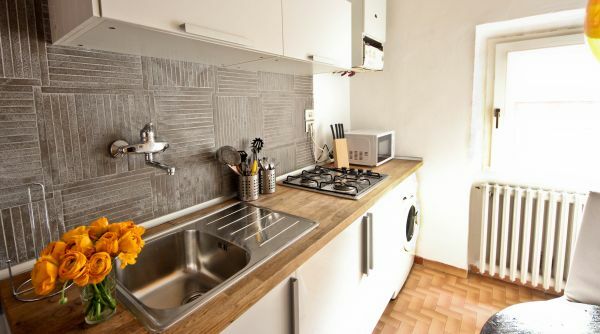 Here is why we definately use apartments Florence if we (hopefully) go back to the breathtaking Florence again: Apartments Florence had great service and 100% reliable staff. Although we were two hours delayed our contact person waited patiently for us in the apartment. 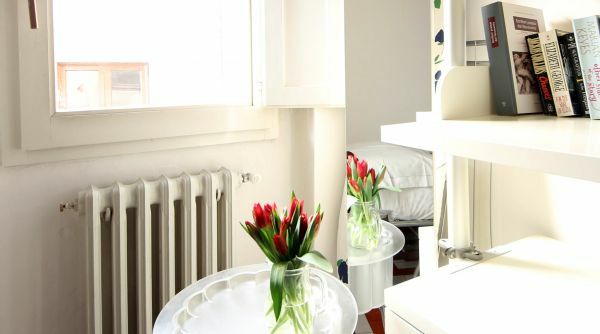 The apartment was clean, cozy and well equipped with towels, bedding and kitchen tools. The location and neighbourhood is perfect! Our street was quiet and safe, but only two minutes away was the beautiful Santa Croce church. If we walked five minutes the other way, Pizzauoli, serving the best margeritha pizza we have ever tasted was situated in a cozy street. 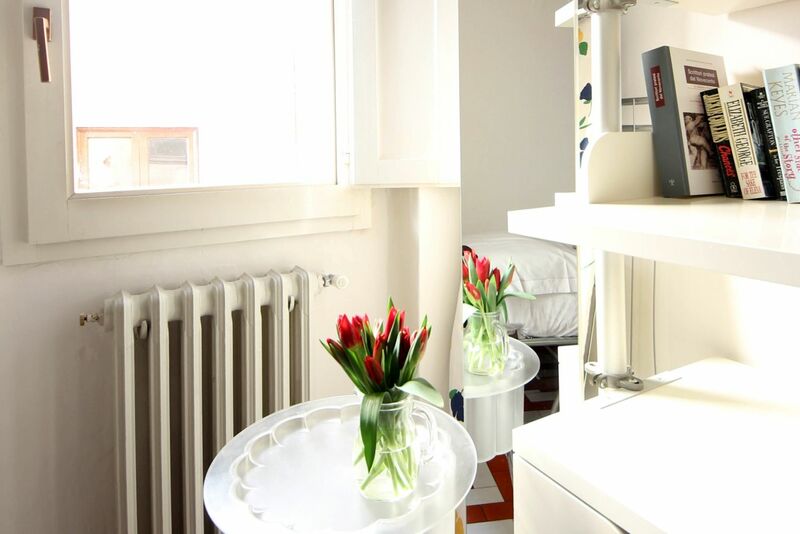 We highy recommend the Pinzochere apartment and apartments Florence. They helped making our stay in beautiful Florence simply perfect. Thank you so much for having us!